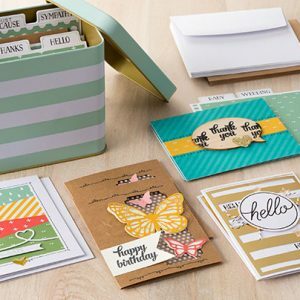 Holiday Helper Demonstrator Customer Newsletters includes 12 Tutorials and 12 Customer Newsletters and is complimentary to all CraftyPerson Demonstrator Newsletter Service Members. The holidays are a joyful and busy time, especially for Stampin’ Up! demonstrators. Demonstrators are extra busy holding classes and helping customers get the most out of all the great holiday products. This year, save yourself a lot of work and time while still gifting your customers with something special. 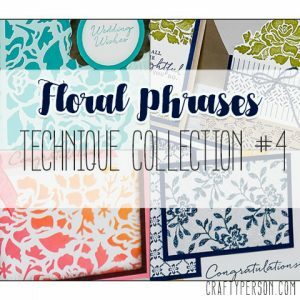 The Holiday Helper is a series of 12 tutorials created by talented Stampin’ Up! demonstrators. 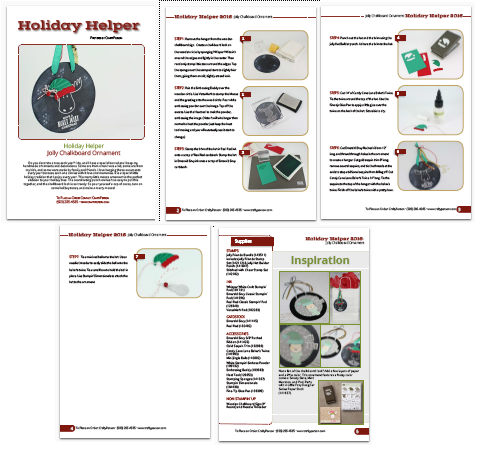 The Holiday Helper is a gift to our Demonstrator Newsletter Members and is great inspiration, offer an appreciation gift, and help increase sales. Your Holiday Helper emails will all be customized with your name and information for you. All that work done for you so you can focus on your customers and classes instead. Let us be your Holiday Helpers this year! We are sharing the tutorials in our regular scheduled newsletter as well – our compliments. ==> For your personal enjoyment only. Cannot be shared, forwarded, etc. ==> A new project delivered every Saturday. ==> Features our talented guest artists by including their names and photos. ==> Great projects featuring Holiday Catalog products. ==> Detailed quality tutorials with measurements and step-by-step instructions with photos. You may be wondering, why, as a demonstrator should you buy the Holiday Helper? ==> You have the rights to share the professionally designed emails and quality tutorials with your customers. ==> The emails are customized with your name and contact information. ==> The tutorials are customized with your name and contact information. ==> No references to the guest artists in the emails or tutorials so it’s all about you. ==> A great service for your customers to enjoy and that sets you apart. ==> Saves you tons of time during this busy season. ==> Your customers feel appreciated and valued so your business relationships benefits both short and long term. The brand-new 2018 Holiday Helper Demonstrator Newsletter version is now available. 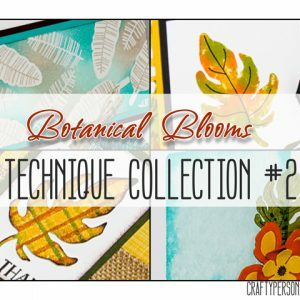 This product includes 12 beautifully designed Email Newsletters and 12 downloadable Tutorials. How long does it take you to create a 6-page, step-by-step project tutorial? 4 hours, maybe more? And what is your time worth? $15 an hour? What if we told you we would give you 6 step-by-step professionally created holiday project tutorials to share with your customers for under $30. Could you see the saving? Let us help you spend more time offering one-to-one personal attention or classes, while we do all the heavy lifting. We have 12 beautifully designed emails with downloadable tutorials ready for you to send to your customer for only $30. It’s all part of our Demonstrator Newsletter Service. You will need an Email Service Provider such as DBWS, Constant Contact, MailChimp, or similar to use this service. 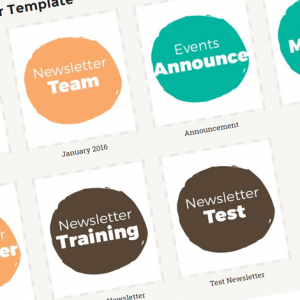 As a special perk you’ll also get access to our new Monthly Demonstrator Newsletter service for October, November, and January. 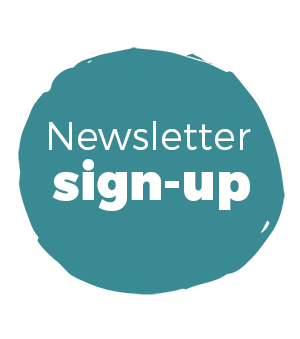 The sooner you sign up, the sooner you have access to the Holiday Helper and the more email newsletters you’ll receive! 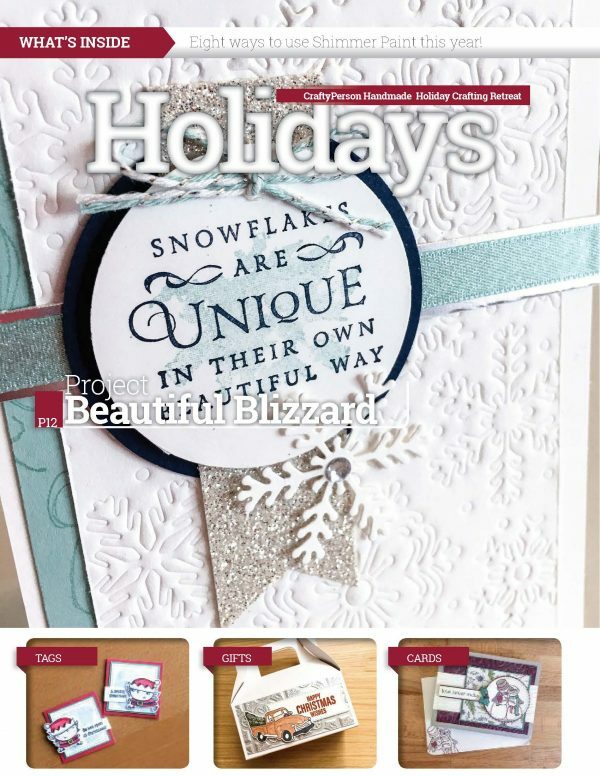 Now that you know about all the awesome ways Holiday Helper can help your business and inspire your customers please purchase your copy below! In the customer version of the Holiday Helper, you will receive 6 separate emails and 6 step-by-step project sheets to send to your customers, all of which will have only YOUR contact information. If you are using Constant Contact, MailChimp, iContact, VerticleResponse, DBWS or any of these Email Publishing programs, we will be creating for you 12 HTML files to import into your account. Newsletters and Tutorials are available until 12/27/2018. We provide other newsletters every month as long as you are a subscriber. 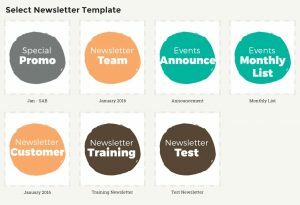 What happens after I join Demonstrator Customer Newsletter Service? You will receive an option immediately after successful payment to login to the membership site for more details. There is marketing material available for you to advertise in the membership site. You will then be asked to update a profile form with your contact information which will be used on all the newsletters. Once you have completed the form, your order will go into a queue to be processed. Depending upon the level of response, it can take up to 2 days to create your personalized tutorials and upload them. Once your newsletters are complete, they will be available for your review on the membership site. You can then import them into your Email Service Provider. At that time I would suggest sending an email and/or calling your customers to invite them to subscribe to your Holiday Helper newsletter. In short, No. The Holiday Helper is copyrighted material and provided exclusively for YOU to share with YOUR customer base for marketing your business. Adding the newsletters to your blog would be sharing it in general with the whole wide world. You can provide the information to your customers through emails or printed copies only. Please DO NOT forward to a community or team website, your downline, sideline, or upline. This includes any demonstrators who are on your customer newsletter distribution. 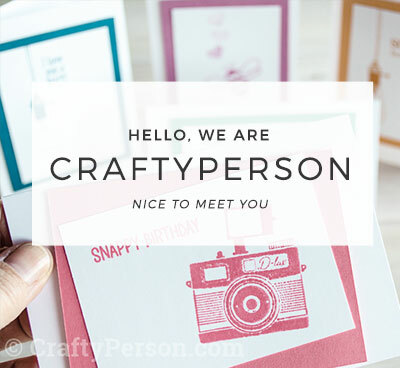 Please refer them to our website craftyperson.com. Do I need to credit the original artists? No. The artists and CraftyPerson Production (me) have given you rights to share the Holiday Helper Customer version with your customers. However, as mentioned above, please do not distribute the information outside of your customer base or claim credit as the original owner for any content. The original artists have that right. How long does it take before I receive the newsletters? Most of the content will be available right away. The tutorials do take a couple of days AFTER you fill in your profile. Yes, the Holiday Helper presents Canadian pricing, links and promotions. We also changed certain words (color, catalog, favorite) in the newsletter that will be spelled using the Canadian standard. The tutorials are all in U.S.
What name will my customers see on all the tutorial documents? All the documents (tutorials and resource materials) will have the following at the footer: Provided by: Your name, web page and phone number. Plus each and every newsletter will have your name, your email address, your website, and your phone number. How do most of your customers send out the Holiday Helper to their customers. Most of my customers have an email service, like Constant Contact. They will market their Holiday Helper Newsletters on their blogs, email and DBWS. They schedule their newsletter to start on a certain date (Nov 15) and then they schedule the other newsletter after either every day, every other day or twice a week. They then ask their customer to subscribe by using the forms provided by their email service before the start date. Basically market it just like any other recurring event you would have. Often I will be asked if daily is too much. I don’t think so as long as the subscribers know it is coming, it’s not a problem. Sometimes, waiting a couple of days or a week for the next installment can be agonizing. However, if you infrequently send emails to your subscribers and then all of a sudden it’s a daily email…you will get angry subscribers. It’s all about what type of relationship you have with your subscribers now and how you prepare them for it. Take some time upfront to tell them what they will expect. So far I am loving it. I am grateful that you are so willing to help out someone like me who has limited computer skills. I love your Holiday Helper newsletter and tutorials – they make my business look so professional – Thanks! 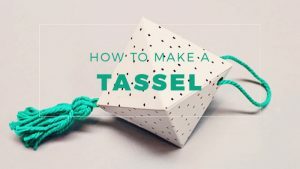 I have already received orders as a result of the tutorials, and my customers really appreciate having the step by step instructions to make things on their own time. Thanks again! Thank you Carol. It makes Amy and I so happy to know we are making a difference in your business.